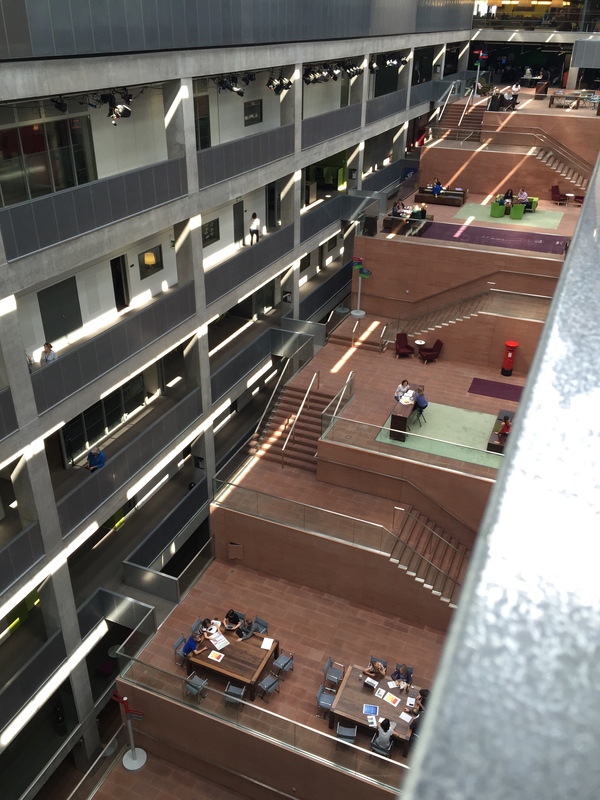 Today we visited the amazing BBC Scotland headquarters in Glasgow, Scotland. 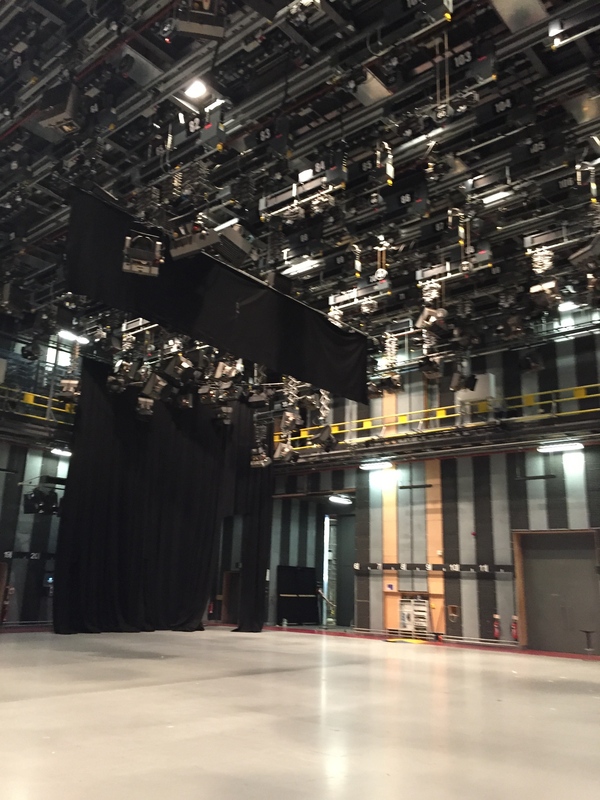 What set this apart from the lecture we had about the BBC while we were in London was that we were able to go to the building and get a tour. We went to Studio A and saw where they film Good Morning Scotland and I had the opportunity to live out my 8 year old self’s dream of being a meteorologist on the news. I was told that the last guest weather man on the show was Prince Charles, so I felt honored to be added to the list (even though it wasn’t actually on TV). 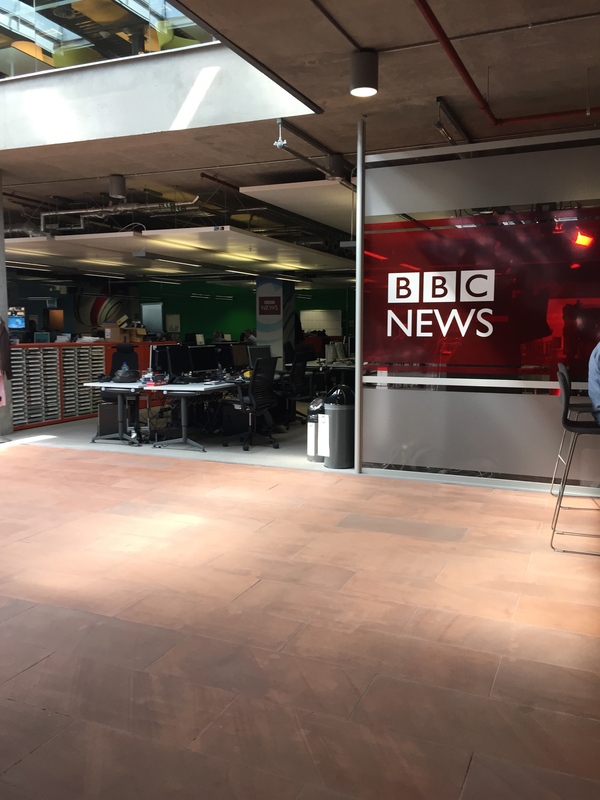 We met with Ian Small, Head of Public Affairs and Corporate Affairs for BBC Scotland who told us a lot about what it is that BBC Scotland produces in terms of television and radio programming. But one of those things that he told us about that really stood out to me was the fact that the building itself was designed and built to be a studio itself. During elections or something like the Commonwealth Games that they had last year, they are able to broadcast and have a live audience of about 100 people in the middle of their building. They have lighting all around the third level that can shine down on the second level where the studio can be set up. 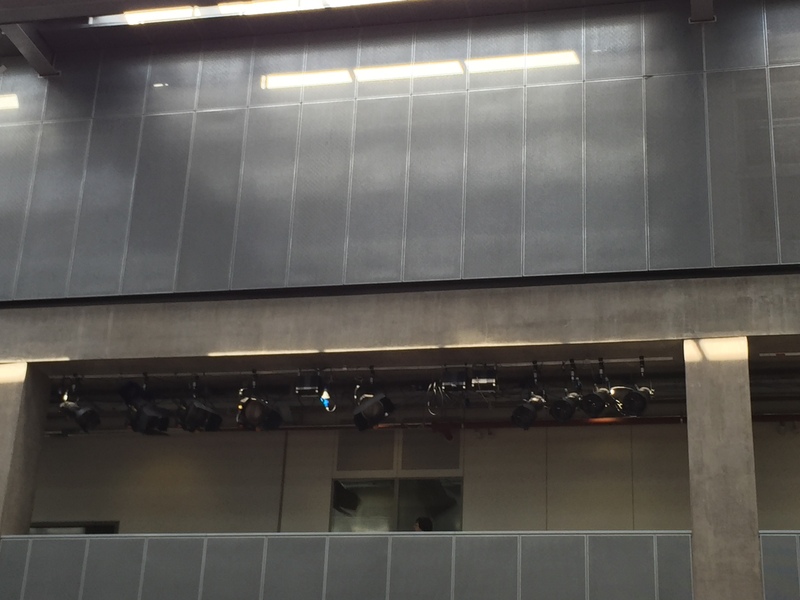 Despite the cement and metal all throughout the building, they are all designed to make the building acoustically dead, perfect for a studio and for broadcasting. 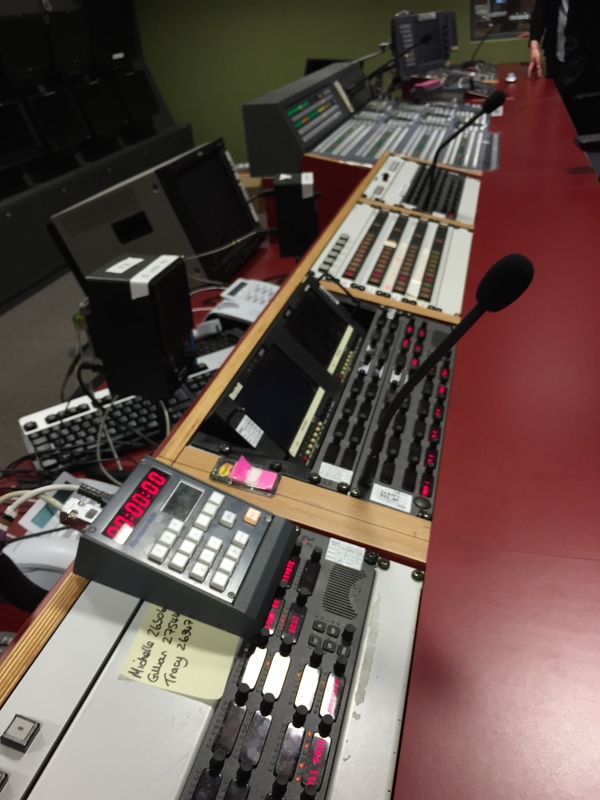 It was amazing seeing the inner workings of one of the branches of the BBC, and to learn more about broadcasting, something that has always been an interest of mine. I said in an earlier blog that I would try and determine which broadcasting company I liked more, but between ITV and BBC I can’t choose a winner. Both are amazing companies that excel in their own things and it would be too hard to compare. 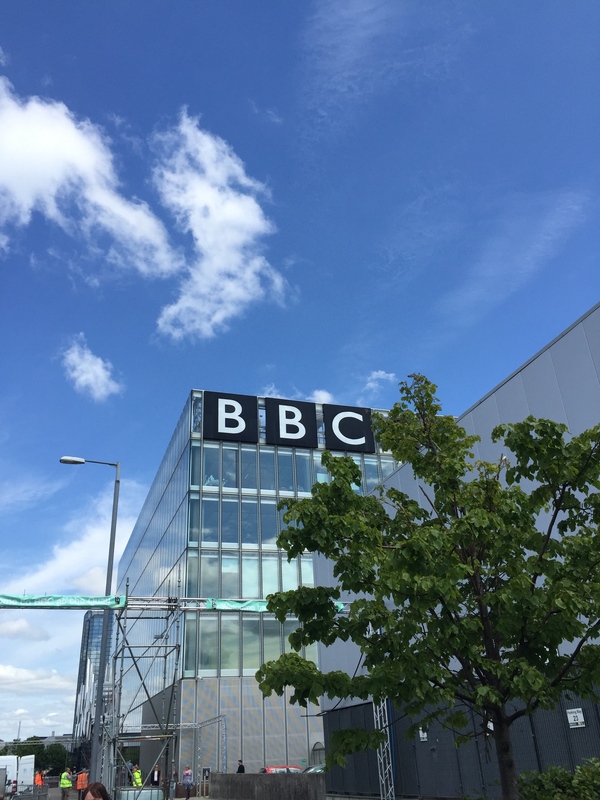 Today was an amazing day exploring Glasgow, and I am so thankful for the opportunity to wander around BBC Scotland.